If there’s one thing that’s true semester after semester, it’s that managing a fraternity can be really complicated. Not only do fraternities need to have the support structure to manage dozens, even hundreds of brothers, but they also need to be functioning philanthropic organizations. Keep your fraternity organized and efficient for the year to come (and beyond). Let’s dive into these best-in-class fraternity management apps so you can find the perfect tools for your organization! 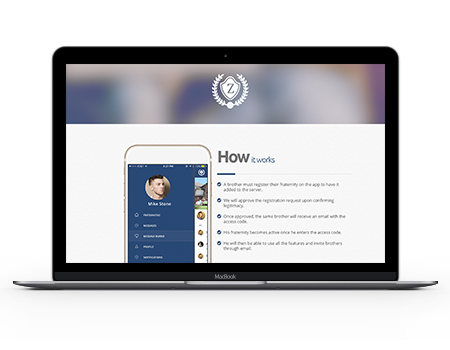 If your fraternity is looking for a comprehensive management app that addresses all of your chapter’s needs on one platform, OmegaFi has the solution for you. OmegaFi’s fraternity management app helps your chapter manage everything from bill payments to budget tracking, all on an intuitive, accessible platform. Payment processing. Stay on top of your chapter’s finances by sending out customizable invoices and payment reminders. Manage vendors, pay bills, and even process payroll for employees of your organization. Financial Planning. Maintaining a hold over your budget requires having the tools in place to carefully plan your finances. Use OmegaFi’s reporting tools to diagnose where your chapter is overspending so you can course correct. Tax reporting. One of the most common setbacks faced by fraternities is financial mismanagement. When the time comes to pay your taxes, OmegaFi’s fraternity management software makes it easy to file your 990 to comply with the IRS. OmegaFi’s fraternity management software stands out from the rest of the list because it is a truly comprehensive platform. When your chapter’s finances are involved, you want to know that you have every tool on hand you’ll need to keep your operations in order. Not only this, but OmegaFi distinguishes its app by addressing the needs of fraternities as both social organizations and philanthropic associations. With their software, your officers can trust that you’ll have access to resources that help you manage operations and raise money. Check out OmegaFi’s fraternity management app! No matter what school you attend, philanthropy is often at the heart of your fraternity’s mission. With that in mind, why not choose a management solution that streamlines your fundraising efforts? 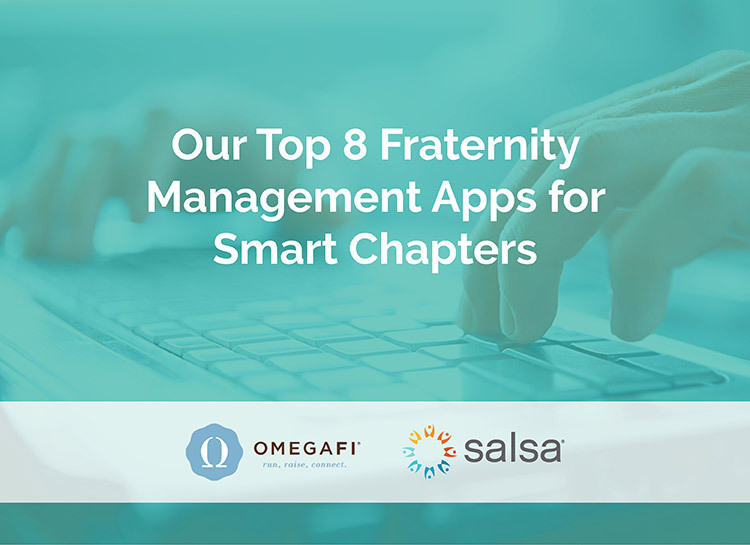 Salsa’s comprehensive app let fraternities maximize efficiency at their chapter while boosting philanthropic revenue, offering chapters a fundraising-focused alternative to fraternity management software. 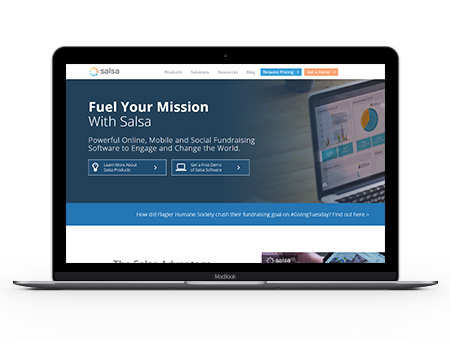 Salsa’s software is the go-to solution for fraternities who want to put their philanthropy first and improve how they manage charitable giving at their chapter. With Salsa, your chapter can expect to start raising more funds for your cause in no time. Our favorite Salsa feature is their peer-to-peer fundraising platform. Through peer-to-peer fundraising, chapters can leverage the networks of their brothers to reach a wide range of donors across social media. Check out Salsa’s fraternity management app! Aplos is a trusted accounting software provider that caters directly to nonprofit organizations. For fraternities looking to take control of their finances, consider seeing what Aplos has to offer. Because Aplos’s fraternity management app focuses on the accounting needs of your organization, your team can have peace of mind that your finances will be managed with expertise. Membership management. 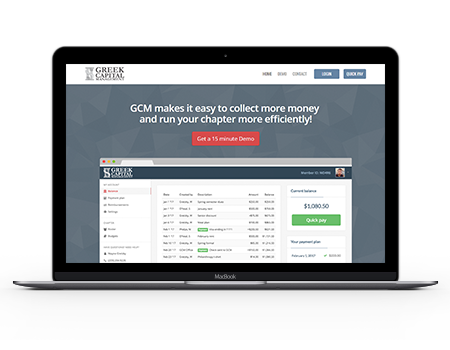 Process dues payments from fraternity members, manage chapter enrollment, and increase efficiency across your fraternity with their membership management solutions. Bookkeeping tools. Easily manage donations that come into your fraternity with Aplos’s digital leger. You can also track funding by assigning it to designated arms of your chapter and manage spending with comprehensive reports. Accounting automation. Start managing your finances faster with Aplos’s efficient accounting tools. Easily import transactions from your bank account, create contribution statements, and avoid band-aid solutions you used to need with software like QuickBooks. 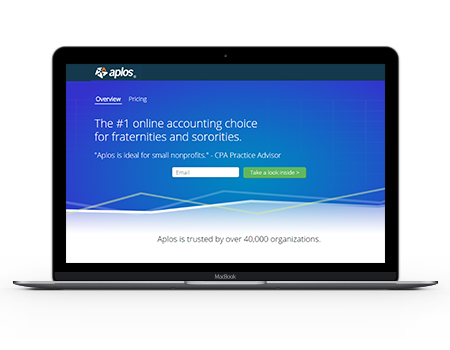 Aplos’s accounting app offers a nonprofit-focused management solution to fraternities who are tired of not getting the features they need from accounting tools designed for businesses. With Aplos, your fraternity can focus on its mission and start raising more money. In particular, we love Aplos’s commitment to user-friendly software. Not everyone at your chapter will be an accounting expert, and for this reason it’s important that your software be intuitive for all of your officers. Check out Aplos's fraternity management app! Ever feel like communicating with your chapter is a huge hassle? Not only can it be difficult to send updates out to your fraternity, but it can also be hard to ensure your entire chapter is on the same page. Luckily, OurHouse has a simple solution designed to optimize communications at your chapter. Never again worry about members missing out on event updates, meal plans, news, or other day-to-day information. News updates. Easily spread the word at your chapter with OurHouse’s push notifications. You can also replace Facebook pages and WhatsApp group messages with the platform’s easy-to-navigate group messaging tools. Events management. Set dates for meetings, socials, and volunteer events using the software’s events calendar. You can even track member attendance using their GPS attendance monitoring feature. Meal planning. One of the toughest aspects of running a fraternity is managing menu planning, food prep, and meal cleanup. With OurHouse, your officers can share upcoming menus, make accommodations for allergies, and organize the logistics of feeding your chapter. 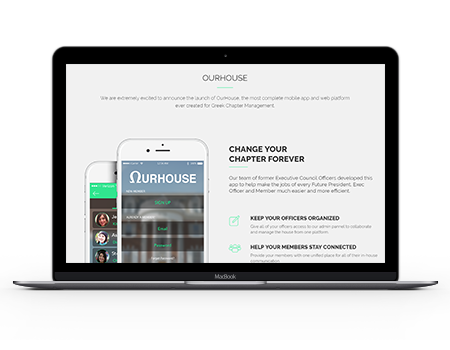 OurHouse is a great app for fraternities who are looking for a simple management solution that their members will love using. Since their fraternity management app functions like a social media platform, it will fit right in with your brothers’ favorite lineup of smartphone apps. Another reason to check out OurHouse is that it segments communication channels by general members and officers. This way, your officers will have a behind-the-scenes line of communication to handle operational communications without broadcasting them to your entire chapter. Check out OurHouse's fraternity management app! One big obstacle that many Greek organizations face is a lack of funding to cover the expenses of much-needed operational costs. This can leave chapters feeling like they have to forgo a management software in order to stay on budget. Luckily, with ZOI’s free fraternity management app, fraternities now have an affordable management solution. While ZOI’s fraternity management app offers a more streamlined solution than other companies on this list, its price tag can’t be beat. Additionally, since anyone can sign their fraternity up, this app is accessible to all kinds of organizations no matter their size. However, what really makes ZOI stand out is its emphasis on organizational growth. Through ZOI, your fraternity can reach new recruits, set up networking channels, and promote your philanthropy all within the same platform. Check out ZOI's fraternity management app! One of the perks of joining a fraternity can be gaining access to the chapter’s kitchen or meal plan. However, feeding dozens of your brothers every day is a task easier said than done. Consider looking into Kitchen Cooks for a meal management service like no other. You can work with their team to plan healthy menus that are then prepared and delivered to your chapter. Customizable menus for day-to-day meals. Campus Cooks isn’t just a catering service for Greek organizations. In fact, the platform offers fraternities an easy-to-navigate meal planning app that helps your members better manage their health while enjoying all that Campus Cooks has to offer. Your brothers can even use the app to request a late plate when they can’t make a meal. Using this feature, Campus Cooks will set aside meals for members that they can heat up when they finally make it back to the house for the day. 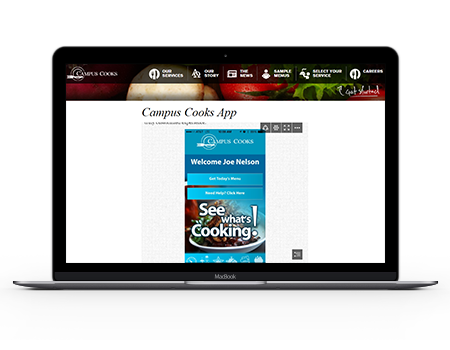 Check out Campus Cooks's fraternity management app! Recruitment is probably the most stressful time of year for your fraternity and if your chapter doesn’t have dedicated recruitment software in place, this process can be even more difficult. If this sounds like your fraternity, take a look at TechniPhi’s comprehensive recruitment platform, CampusDirector. With this solution, chapters can navigate the recruitment process with ease. Automated recruitment tasks. With CampusDirector’s tools, your chapter can quickly register pledges, send event invitations, match and offer bids, and complete the recruitment process faster than ever before. Platform accessibility. Since you can log into CampusDirector via web browser or app, all you need access the platform is an internet connection. This means your officers can check off recruitment tasks anywhere from your chapter’s house to the school library. Recruitment support. 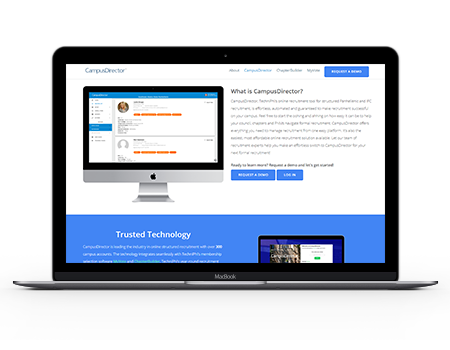 Not only does CampusDirector offer your chapter 24/7 technical support, they also provide in-person and webinar training to help your team answer any questions you have about fraternity recruitment. CampusDirector is a great pick for fraternities who truly want to reshape their recruitment process from the ground up. If your chapter is interested in changing its recruitment strategy or in growing your recruitment class, this platform might be right for you. Not only that, but CampusDirector’s recruitment app makes it easy for prospective members to stay in touch with your chapter throughout recruitment. Since the app is streamlined and user-friendly, there’s no risk of confusing pledges or mismanaging bids. Check out CampusDirector's fraternity management app! Managing the finances of a fraternity can be a tough job for your chapter’s treasurer. Not only are they responsible for balancing your books, but they’re also the one tasked with following up on dues. 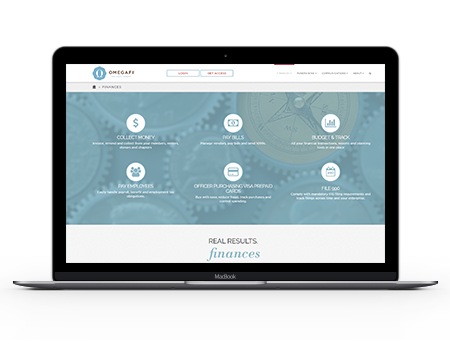 Greek Capital Management offers a smarter solution for fraternity financial management. On their app, your chapter can easily process payments, send dues reminders, and more. Greek Capital Management knows that there are a lot of moving parts behind the scenes of your fraternity, and this is why their solution is both comprehensive and user-friendly. With their app, you never need to worry about managing your expenses again. Their software also automates many of the responsibilities of your treasurer, Not only does this make their job easier, but it also minimizes the risk of your accounting falling off track year over year. Since the system is so secure, you can rest assured that your financials are taken care of. Check out Greek Capital Management fraternity management app! Staying on top of your chapter’s operations can be a tough hurdle to overcome. However, with the right app, your fraternity’s management strategy will reach new heights! Peer-to-Peer Fundraising: 7 Strategies for Every Nonprofit. Peer-to-peer fundraising is one of the best strategies for raising money for your chapter’s philanthropy. Check out our article on the top peer-to-peer fundraising strategies your chapter will love. Double the Donation’s Top Fraternity Management Software. Still itching for more fraternity management software solutions? You’re in luck! Check out Double the Donation’s guide to picking a best-fit platform for your fraternity. OmegaFi’s 14 Fraternity & Sorority Fundraisers Your Members Will Love. Finding new and unique ways to fundraise at your fraternity can be challenging. Check out OmegaFi’s favorite 14 Greek fundraisers before planning your next campaign. Hey. Thanks for the article. Could you please contact me at dylan@ourhouse.us? I am one of the co-founders of OurHouse, thanks!